Ten rare carnivourous Powelliphanta hochstetteri snails have been radio-tracked in the Abel Tasman National Park. 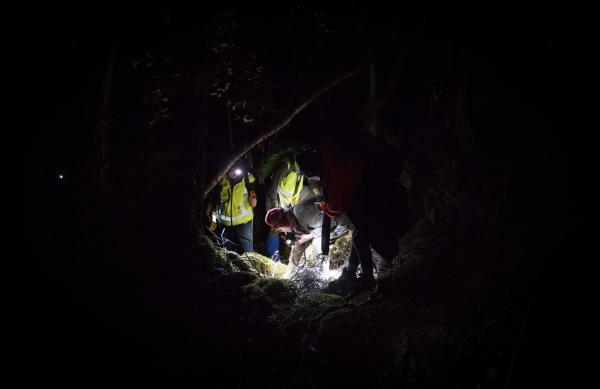 Snail tracker Dr Brian Lloyd is the only person to have radio-tracked snails in New Zealand and this is the first time snails have been tracked at night. Dr Lloyd, assisted by Dr Ruth Bollongino, attached tiny radio transmitters to the snails near Canaan Downs, in the upper reaches of the Abel Tasman, to investigate their ranging behaviour and activity. The snails in this study were from the sub-species P.h. hochstetteri, which is ranked as nationally endangered because of predation by rats, possums and pigs. The snails were monitored, day and night for 41 days. Unsurprisingly, they didn’t travel great distances, on average just 1.3m in a night, although one did travel 3.8m overnight. Snails were usually only active for one or two nights during warm, moist conditions and then remained inactive for longer periods. “I was expecting the snails would travel in random directions, but they actually tend to move in a straight line with a slight leftward bias. None went back to the same spot, which indicates they are not territorial and don’t seem to have a home base,” says Dr Lloyd. Populations of both Powelliphanta hochstetteri and Rhytida oconnori are known to be declining in the Abel Tasman. 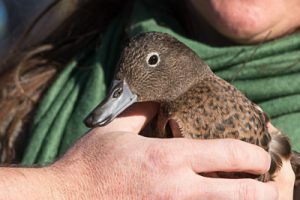 However recent surveys by the Department of Conservation and Project Janszoon found the two species to be more widely distributed than previously thought. DOC biodiversity ranger Mike Ogle likens Rhytida oconnori to kakapo, as they are both classified as nationally critical. “Imagine finding you had 20% more kakapo than you’d thought, people would be popping the champagne corks. 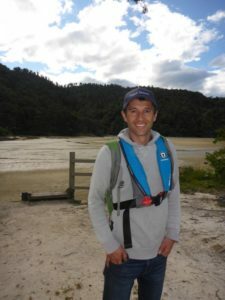 This monitoring is providing valuable insights and Project Janszoon and DOC are now in a much better position to secure the future of these snails in the Abel Tasman,” he says. The Rhytida oconnori snail is found at only two sites in New Zealand, in the Abel Tasman and at Parapara Peak in Golden Bay. 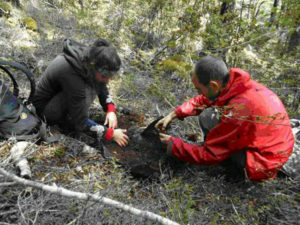 The survey was undertaken as part of Project Janszoon’s work to restore the ecology of the Abel Tasman National Park. Pete’s Tweet – Kiwi in ATNP—were they ever?—are they now? To answer that first question: they must have been once, given the sub-fossil remains from caves within or at least very close to the park.